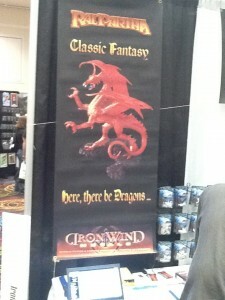 Our GAMA Trade Show 2011 coverage continues with offerings from “Smart USA,” “Mayday Games,” “GHQ,” “Royal Chess,” “AAA Anime,” and “Iron Wind Metals. Apologies for the short vendor list today as the real world (eg work) cut into my time. 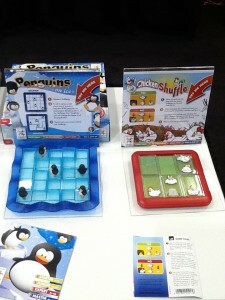 This is a new joint venture with Rex Games, producers of the “Tango” series of games. Smart USA had a series of Euro-travel games on display designed for single players. There is a logic-building and creative thinking element to the games. There slogan is “Games that teach the mind to think.” I highly suggest checking out the Smart Games site for more information on their many games. There are also some nice videos of each game as well. Famed for their many varieties of board game card sleeves, Mayday is branching out into the deck-building arena with the new “Eaten by Zombies” game. Scavenge your way across the world in a zombie-ruled world. Fight other players while maintaining your sanity. Because survival requires hard, cruel choices… This game is still under development and has a tentative June release date. “King’s Vineyard” is a new board game themed around vintners and producing the finest wine. This comes out next month. Other new releases include a new auto token set and a new Agricola token set. Crokinole boards at very reasonable prices were also on display. In plastic sleeve news, there are several new sizes for “Dixit” and “Seven Wonders,” as well as a new “board game sleeve finder” template that makes it easier to find and print out cards. You just put one of the game cards into the template and it tells you which sleeve to use. Much better than the spreadsheet I was using. Click the link to get the sleeve finder PDF. 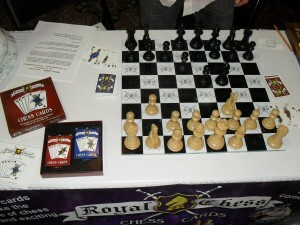 Royal Chess is a card game that you add to the chess board of your choice . The game creates more strategy and chance because you can only move your chess pieces based on the cards you can play. So you can make more risky moves hoping that your opponent doesn’t have the needed card to take you out. 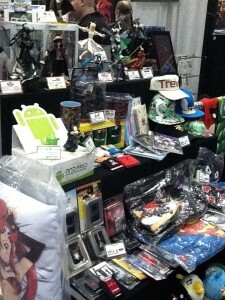 Triple-A Anime was showing off its line of Japanese / Anime based toys, snacks, do-dads, and movies to the retailers present. A miniature manufacturer and game publisher, GHQ regularly produces 7-8 produces every two months. Current releases include the Ferret MK-1, Pittsburg and Kuma models for World War 1 and World War 2 combat and some new “Full Sail” sets. 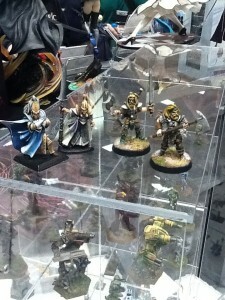 They also sell a variety of terrain and other miniature accessories. Ral Partha rises again! I had to get this tidbit in first because I grew up on Ral Partha models and shed a tear when they disappeared some years ago. 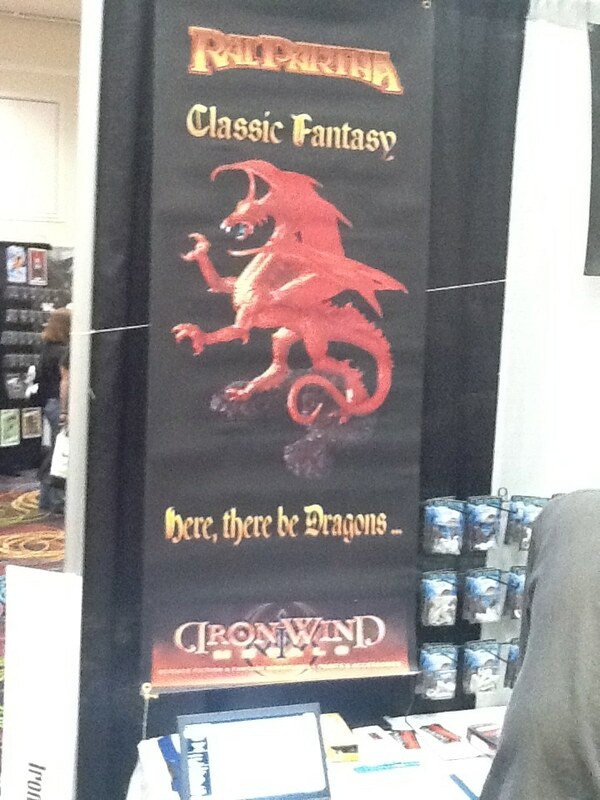 Iron Wind is bringing back the 25mm metal line of fantasy models. 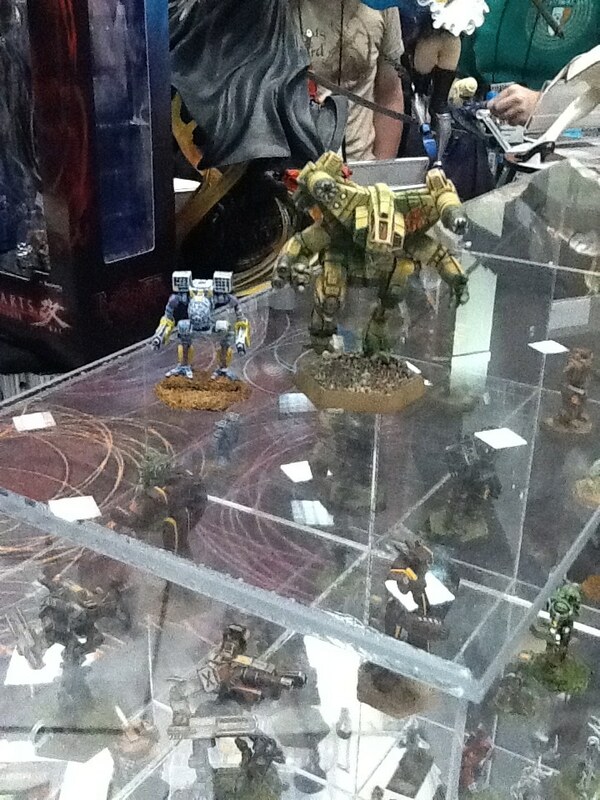 This is due to the success of the Battletech line and some shifts in the costs of metal, so they are ramping up the fantasy metal line. They are taking a lot of individual miniatures (ie skeletons) and packaging them in “command packs” with various poses to create a lower price. Here are some shots of painted fantasy and Battletech miniatures. More tomorrow, so check back!